One of the most common presenting problems to most foot and ankle surgical practices is the painful flatfoot. Often, the problem is treated with excellent outcomes through a combination of conservative options. These may include such options as stretching of the heel cord, strengthening of the dorsiflexors and invertors of the foot, over-the-counter arch supports, custom orthotics, and shoe alterations. In certain cases, conservative care may not alleviate the associated symptoms of foot, ankle, knee, and possibly even back fatigue, pain of the foot and leg, and arthritis of the midfoot, rear-foot or ankle. In such cases, multiple surgical options are available to treat the underlying deformity and associated symptoms. It is essential to treat the foot and leg as a unit and not to perform surgery based on rapid recovery but rather on a long-term stable and lasting outcome. To that end, the purpose of this article is to discuss the benefits of osteotomy-type surgical procedures for flatfoot reconstruction as part of flatfoot treatment and the benefits over arthroereisis-type procedures. It is not an attempt to prove that arthroereisis procedures are not a good treatment option. It has been the authors’ experience that the arthroereisis procedure may be overused based on its rapid recovery and ease of use, although the technique may not be correcting the deformity at its source and may not be treating the underlying problem with the same degree of correction and predictability as do the osseous procedures. Flexible flatfoot, pes planus, and pes planovalgus are all terms to describe a foot deformity that has several basic components on clinical examination and radiographic evaluation. It is a complex deformity, which can be symptomatic or not. Simply said, the deformity involves forefoot, midfoot, and hindfoot changes . Flexible flatfoot has been described as calcaneal eversion, talar adduction and plantar flexion, medial arch collapse, and dorsolateral forefoot subluxation . The deformity can be a result of a de- velopmental (usually presenting as pediatric or adolescent flatfoot) or acquired situation (usually presenting as adult flatfoot) . The developmental causes of flexible flatfoot include tarsal coalition, prior congenital vertical talus (clubfoot), and ligamentous laxity (eg, Ehlers-Danlos, Marfan). Those causes that can lead to acquired flatfoot include posterior tibial tendon dysfunction, equinus, abduction of the forefoot, Charcot foot, neuromuscular disease, talar subluxation, midfoot laxity . When evaluating a pes planovalgus deformity many complex components must be taken into account. The rotation of the talus on the calcaneus about the subtalar joint must be considered. The relationship between the forefoot and the rearfoot should be well understood. It is essential to consider the foot as a tripod and then build the units of the foot to reconstruct a stable tripod. If one or more than one unit of the tripod is in a poor alignment, there are problems with stability. The early research and the article by Green  are excellent sources for the comprehension of planar dominance in foot and leg deformity. The foot may be divided into three planes. These include the dorsal and plantar alignment of the foot in a vertical plane (sagittal), the medial and lateral alignment of the foot in a horizontal plane (transverse), and the rotation of the foot in a circular plane (frontal). The concept of planar dominance is that the plane of greatest deformity must be the initial one considered and corrected. Each procedure should be selected to correct the main plane of deformity. With time, it has become clear that correction in a single plane of the deformity may not be sufficient to correct the foot to a stable alignment. In certain cases, correction of only one plane actually may accentuate and further deform a second plane resulting in the need for secondary procedures to realign the entire foot. For example, a patient with a forefoot varus who has a varus rotation correction of the subtalar joint performed, such as may be seen with an arthroereisis procedure, will have an accentuated forefoot deformity that will require stabilization. This deformity is attributable to the multiplanar movement of a varus-type correction. This same patient may not require a forefoot procedure with a lateral opening wedge calcaneal oteotomy. The calcaneus is moved in a single transverse plane and the fore-foot deformity is not increased. The goal of any flatfoot reconstruction is to align the foot on a stable and matched surface in all three planes with attention primarily to correction of the main plane of deformity. The main problem with an arthroereisis type of procedure is that the correction of the heel alignment is in multiple planes resulting in excellent positioning of the calcaneus below the ankle but poor correction of the lateral shift of the midfoot and accentuation of the forefoot deformity. The benefit of selective rearfoot osteotomies is that the proper plane of deformity is dealt with directly and often there is not an increase in the compensatory or secondary plane of deformity. As a pes planovalgus deformity progresses, it is important to address the hindfoot component that moves into valgus . The spatial relationships of the axis of the subtalar joint (STJ) help to understand these relationships. Kirby  describes these rela- tionships well with the rotational equilibrium theory. He argues that the STJ joint axis position described historically may not be as accurate as once believed. He finds that the normal STJ joint axis passes through the posterolateral heel posteriorly and through the first intermetatarsal space area of the plantar forefoot anteriorly. In this normal position of the STJ the medial calcaneal tuberosity lies medial to the axis, therefore exerting a supination moment arm across the STJ. In the same way the gastrocnemius and soleus complex insert into the calcaneus medial to the STJ axis affecting a supinatory force on the joint. In the pes planovalgus deformity, the medial calcaneal tuberosity and the insertion of the Achilles tendon lie lateral to the STJ axis, therefore exerting a pronatory moment arm [5,7]. Kirby  defines it another way, relating that when the axis itself lies medial to the normal STJ axis, a pronatory force is created. The physical examination process for a flatfoot deformity is essential for proper patient care. The process is started with the patient seated. The muscle strength of each compartment of tendons and each separate tendon is checked. The neuromuscular function also is examined fully to make sure there are no neurologic issues. Weakness or tightness of a muscle group is important to note and treat in a surgical setting, especially evaluation of the gastroc soleus complex to determine the contribution of equinus to the deformity. It is essential to evaluate the flexibility of the deformity at each joint and the deformity’s reducibility in the clinical examination. This can be evaluated using the Hubscher maneuver and other techniques. Nonweight-bearing position of the foot and ankle also are judged. The rearfoot is reduced into an anatomic position with attention to the most common line of correction. Often there is greater varus tilt versus medial shift of the heel during manual realignment. The forefoot deformity is then checked in comparison to the rearfoot and the entire foot alignment is judged. If there is a severe forefoot varus or supinatus, it is important to consider this problem in future surgical planning. Routine dermatologic and vascular testing is performed. It is important to identify any keratomas. Keratoma formation plantar to the second metatarsal head may correlate with a lax or elevated first metatarsal. Generalized forefoot keratoma formation is an indicator of an equinus as is a medial pinch lesion of the first metatarsal or great toe. A gait analysis and standing foot alignment are also considered before any form of surgery. The foot is judged in the angle and base of natural gait. Attention is directed to the main plane of deformity and secondary compensation planes. The foot then is corrected manually to proper position and attention is given to the main and secondary planes of correction that may be necessary for anatomic correction. The radiographic detail of a flatfoot should be understood. Standard anteroposterior (AP), lateral, and calcaneal axial views are measured using the following angles: talocalcaneal, talar declination, calcaneal inclination, and talo–first metatarsal angles on the lateral view and talocalcaneal and talo–first metatarsal angles and talar head coverage by the navicular on the AP view. Magnetic resonance imaging may be necessary for detection of a tear of the posterior tibial tendon, deltoid complex, spring ligament, or a fibrous coalition. Computerized tomography may be used to correlate arthritis or an osseous coalition. When considering treatment of a symptomatic flatfoot, surgical correction can be used when the deformity becomes progressive or there is recalcitrant pain . Many studies have investigated the several different surgical procedures from soft tissue balancing procedures, arthroereisis, arthrodesis, calcaneal osteotomies, lateral column lengthening, medial column stabilization, block distractions, and others. When considering which procedures to choose, many aspects should be considered. There is no one consensus on an algorithm for which procedure to choose. Articles by Harris and colleagues  and Lee and coworkers  attempt to detail a treatment protocol for pediatric and adult flatfoot, respectively. The primary goal of any deformity correction should be to achieve the best correction with the greatest amount of joint preservation. The authors believe it is preferable to preserve the motion at the subtalar, talonavicular, and calcaneocuboid joints when there is a flexible deformity present. Many studies have recommended and reinforced the value of calcaneal osteotomies for the correction of flexible flatfoot deformity . In 1893 Gleich  was the first to describe the medial translational osteotomy of the calcaneus. In 1959 Dwyer  used a bone graft in the calcaneal osteotomy in cerebral palsy patients. Koutsogiannis  used the medial slide osteotomy in 19 patients in 1971. Evans  described the anterior calcaneal osteotomy in 1975 to achieve lateral column lengthening. The double calcaneal osteotomy combining a medial displacement of the calcaneus and an Evans osteotomy also has been described [14–17]. Medial displacement of the calcaneus (posterior calcaneal osteotomy) translates the medial calcaneal tuberosity and the Achilles tendon insertion into a more medial position with respect to the STJ axis. Some argue that this only affects the heel valgus component and not the flatfoot aspect of the deformity [7,18]. Koutsogiannis  and Jacobs and colleagues  have observed that the posterior calcaneal osteot- omy may also reduce the flexible forefoot supinatus, or a flexible forefoot varus, often see in adults who have acquired flatfoot. It also has been shown to improve talonavicular coverage, the talo–first metatarsal angle, and the height of the medial cuneiform from the ground . Catanzariti and co- workers  found that the talo–first metatarsal angle on an AP weight- bearing radiograph improved from 22.96 to 11.04. They also showed improvement in the talar head coverage in all study patients and a 13.38 improvement in the talo–first metatarsal angle. These results were similar to Myerson and coworkers’  mean improvement of the AP talo–first metatarsal angle to 12.5, the talonavicular coverage angle of 13, and an improvement of 13 in the talo–first metatarsal on lateral view. The Evans calcaneal osteotomy has been used for the correction of pes planovalgus deformities for developmental and acquired situations. The osteotomy effectively lengthens the medial column of the foot, thus reducing forefoot abduction, midfoot pronation, and rearfoot valgus [22–26]. Lateral column lengthening has been shown to reduce the naviculocuneiform and talonavicular sags in the sagittal plane [18,22]. Sangeorzan and colleagues  measured radiographic angular relationships with the Evans procedure and found that the talocalcaneal and the talo–first metatarsal angles on AP and lateral views to be improved. Kite’s angle improved an average of 10.8, calcaneal inclination angle improved an aver- age of 11.3, the AP talo–first metatarsal angle improved an average of 15.8, and the talonavicular angle improved most significantly to 26. Weinraub and coworkers  performed the Evans procedure on nine patients who had posterior tibial tendon dysfunction, finding the average calcaneal inclination angle to increase from 13 to 20, the talar declination from 37 to 27, Kite’s angle from 26 to 15, and the calcaneocuboid abduction angle from 25 to 4 . He related the overall patient satisfaction to be good to excellent. The main complication arising from the Evans calcaneal osteotomy is calcaneocuboid arthrosis . There are several other recent studies that have shown good clinical results from this procedure [19,29–33]. A modification of the Evans osteotomy is the calcaneocuboid distraction arthrodesis. This procedure also corrects the forefoot abduction and the rearfoot valgus while maintaining a significant amount of hindfoot motion, unlike the isolated fusion of the STJ or the talonavicular joint . This technique can eliminate the complications of arthritic changes in the calcaneocuboid joint with an Evans osteotomy . Deland and coworkers  found that with this fusion one could preserve 48% of the talonavicular joint range of motion and 70% of the subtalar range of motion, both higher than with other hindfoot fusions. It does not address a fixed forefoot varus, however. With these procedures increased loading of the lateral foot has been seen when there is excessive varus alignment. This loading is more evident in the calcaneocuboid distraction arthrodesis versus the Evans calcaneal osteotomy . The use of lateral column lengthening should be considered strongly when there is an increased transverse plane deformity. These bony procedures also have been well studied in combination with the double osteotomy of the calcaneus. Catanzariti and colleagues  reviewed nine feet with pes planus they treated with a double osteotomy in- volving medial calcaneal and Evans calcaneal osteotomies. They evaluated the patients’ radiographs and malleolar valgus indices for correction and realignment. Forefoot-to-rearfoot, rearfoot-to-leg, and rearfoot-to-ground correction were maintained at 1-year follow-up in all patients. The midtarsal joint also remained clinically stable in all patients. They found no evidence of degeneration at the calcaneocuboid joint in any of the cases. Subtalar joint arthroereisis has been reported to have beneficial results in many studies [1,25,36–41]. Arthroereisis is designed to reduce subtalar range of motion, improve the weight-bearing position during the gait cycle, and limit calcaneal eversion with the introduction of an implant into the sinus tarsi. Many studies have shown good results based on case studies. The STJ arthroereisis was conceptualized by Chambers  who used a bone graft into the sinus tarsi to prevent anterior displacement of the talus during pronation. Haraldson  in 1965 and LeLievre  used bone blocks into the sinus tarsi to limit subtalar motion. These authors advocated using additional procedures with tendon transfers and midtarsal fusions, respectively. An osteotomy and then grafting of the sustentaculum tali was done by Selakovich  to elevate the middle facet and prevent talar declination and plantar displacement. The use of bone grafts soon was replaced by alternative products . These include Silastic plugs (Dow Corning, Mid- landm, MI) by Subotnick , the STA-peg (Dow Corning, Arlington, TX) by Smith and Millar , and the polyethylene threaded screw by Valenti . Maxwell and Brancheau developed the Maxwell-Brancheau (MBA) implant (Kinetkos Medical Company, San Diego, CA) as a self- locking implant composed of titanium . There have been many variations of the MBA implant produced after its inception. The MBA implant has been shown to correct calcaneal valgus deformity clinically . Christensen  found that his cadaveric studies of closed kinetic chain showed improvement in the tarsal relationships in the measurements of the cardinal planes of the cuboid, navicular, talus, and calcaneus. He observed the calcaneus and cuboid effectively inverting, the talus abducting and dorsiflexing, and the navicular inverting, confirming the supinatory effects of subtalar arthroereisis. Husain and Fallat  showed a restriction of postoperative subtalar joint motion with use of the MBA implant of 32.0%, 44.8%, 59%, 65.5%, and 76.8% for the 6-, 8-, 9-, 10-, and 12-mm implants, respectively. De Pellegrin  reported good results in 95.4%, with 226 feet undergoing a minimally invasive subtalar screw arthroereisis. Nelson and colleagues  found statistical improvement in the talocalcaneal relationship and the medial arch height. They relate that the talo–first metatarsal relationship cannot be corrected by arthroereisis alone, however. Their results showed radiological angle relationships to be improved in the talo–first metatarsal angle on the lateral and AP views, the lateral talar declination angle, and the AP view talo–calcaneal angle. They attribute much of this correction to the adjunctive procedures that also were performed with the MBA implant. Radiographic relationships have been shown to be corrected significantly in many studies [1,25,36–41]. Needleman  found that correction of flexible flatfoot deformity using the MBA sinus tarsi implant resulted in favor- able clinical outcomes and patient satisfaction in 78% (18) of 23 patients. He believed that although there was a high incidence of temporary sinus tarsi pain (13 feet) until the implant was removed, this operative approach compares favorably with other operations for flexible flatfoot deformities in adults based on radiographic analysis. Forg and coworkers  found the most significant radiographic changes in the transverse plane correction of flatfoot deformity compared with the sagittal plane correction using a modified STA-peg arthroereisis. Although all the radiographic angles were improved the transverse measurements of the AP talocalcaneal angle (Kite’s angle), talar head coverage, and the forefoot adductus angle were more significant. Grady and Dinnon  evaluated patients with an STA- peg procedure alone in 46 children from age 6 to 13. They found an average correction of resting calcaneal valgus position from 11.7 to 1.5 with pain decreasing from an average of 6.4 to 0.1. Indications for arthroereisis procedures have been and remain controversial in the surgical community [39,53–61]. Complications with arthroereisis procedures usually are associated with sinus tarsi pain, a malpositioned implant, and implant failure [18,52]. Although the procedure is easily reversible by removal of the implant, there is a risk for associated arthritis in the subtalar joint from poor placement of the implant. Locking of the joint can be seen as the most common finding in our clinical practice of failed arthroereisis cases of pain in the rearfoot, usually because of poor forefoot-to-rear- foot alignment causing overload on the implant and rearfoot joint complex. A second common problem is poor tendon balancing with implant placement resulting in rearfoot pain attributable to overload of the implanted region. In cases of poor sizing, problems often are noted. If the implant is too small, poor correction is noted and increased pain in the sinus tarsi and implant site is noted. If the implant is too large, locking of the rearfoot may be noted resulting in symptoms similar to a painful coalition. With any surgical correction in any stage of a pes planovalgus deformity, it is important to evaluate the use of a combination of the appropriate corrective techniques. It is also important to address other deforming forces, including the length of the Achilles tendon complex, especially the gastrocnemius portion, and the attenuated or torn posterior tibial tendon, spring ligament, or deltoid complex. Again, it has been our finding that surgical planning must incorporate rearfoot-to-leg alignment, forefoot-to-rearfoot alignment, and tendon balancing for an ideal procedure. Our options differ for pediatric versus adult cases. The pediatric foot is far more supple and has less chance of actual tear. If there is a coalition, the coalition must be dealt with as a primary source of the pain and deformity. The supple pediatric flatfoot often has a varus component of the heel but is mainly attributable to weakness of the posterior tibial tendon, a tight gastrocnemius tendon, and a transverse plane midfoot deformity. There also may be a mild to moderate forefoot varus that is often supple and not fixed. In such cases, our preferred treatment option is a combination of gastrocnemius recession, Evans calcaneal osteotomy, Kidner procedure in the case of an accessory navicular, and an opening wedge plantarflexion of the cuneiform or a limited midfoot fusion of either the first metatarsal- cuneiform or naviculocuneiform. Midfoot fusion procedures are used only in cases of severe forefoot varus or midfoot sag or laxity. It is rare to require a calcaneal slide-type procedure in the rearfoot and most of the correction is achieved through the Evans procedure. Over time, there is a shortening of the medial hindfoot and midfoot structures that increases arch stability. The adult acquired flatfoot deformity is a far more difficult and complex deformity and requires more care with procedure selection. In most cases, there is a medial cause for flatfoot deformity, including a tear of the posterior tibial tendon with or without a tear of the deltoid and spring ligament complex. The procedures that we most commonly use in adult cases are an Evans calcaneal osteotomy or a calcaneocuboid distraction arthrodesis. Selection is based on the amount of correction necessary and the suppleness of the rearfoot. In cases of severe deformity in which a great deal of correction is necessary, a calcaneocuboid distraction arthrodesis offers less risk for joint pain and allows for better correction. Furthermore, if the rearfoot is less supple, a calcaneocuboid distraction arthrodesis allows for correction with better joint realignment. In the most severe of flat feet in a young and slim patient, we may combine a medial calcaneal slide procedure for added medial shift of the Achilles and medial longitudinal arch correction. Most adult pes planus cases have a forefoot that also must be corrected. Often there is a hallux valgus deformity and laxity of the midfoot. Our preferred procedure is a Lapidus fusion of the midfoot, which allows for hallux valgus correction and plantar correction of a forefoot varus. A gastrocnemius recession often is required. Rearfoot fusion procedures are necessary only in the case of arthritis, fixed deformity, or a severely obese patient. It is not the intention of this article to imply that the arthroereisis procedure is a poor choice for flatfoot correction. The procedure has been used for decades with excellent outcomes. It may be overused, however, and not selectively placed in the proper patient. Because they are easy to perform, implant procedures have gained popularity, and often the adjunct procedures necessary for full correction are not performed resulting in sub- standard outcomes. Arthroereisis procedures are excellent in select pediatric cases with minimal midfoot transverse plane deformity and mild to moderate hindfoot valgus. The procedure often accentuates the forefoot varus deformity that may be present. In pediatric cases, untreated forefoot varus may correct with time as long as the deformity is supple. A medial cuneiform opening wedge or naviculocuneiform procedure may be necessary, however, to avoid overload of the implant and subtalar joint. In adults, arthroereisis procedures have not worked as well. The deformity is not as supple and therefore correction of the rearfoot in multiple planes with an arthroereisis results in greater forefoot deformity and increases the stresses in the subtalar and midfoot complex. In the rare case of a very supple rearfoot and midfoot, adult arthroereisis procedures may be beneficial but require careful planning of proper adjunct procedures for an excellent and more predictable outcome. Although selective rearfoot osteotomy procedures are more difficult to perform and require greater surgical planning, they will correct the single plane of greatest deformity and not increase the associated deformity planes. Both osteotomy-type and arthroereisis procedures offer select benefits and risks. It is our responsibility as foot and ankle surgeons to plan the best procedure for our patients and select those procedures that will benefit them most and leave them with a lasting, long-term answer to a difficult and often challenging condition. Nelson SC, Haycock DM, Little ER. Flexible flatfoot treatment with arthroereisis: radio- graphic improvement and child health survey analysis. J Foot Ankle Surg 2004;43(3):144–55. McCormack AP, Ching RP, Sangeorzan BJ. Biomechanics of procedures used in adult flat foot deformity. Foot Ankle Clin 2001;6(1):15–23 [v.]. Green DR, Carol A. Planal dominance. J Am Podiatry Assoc 1984;74(2):98–103. Catanzariti AR, Mendicino RW, King GL, et al. Double calcaneal osteotomy: realignment considerations in eight patients. J Am Podiatr Med Assoc 2005;95(1):53–9. Kirby KA. Subtalar joint axis location and rotational equilibrium theory of foot function. J Am Podiatr Med Assoc 2001;91(9):465–87. Mosier-LaClair S, Pomeroy G, Manoli A 2nd. Operative treatment of the difficult stage 2 adult acquired flatfoot deformity. Foot Ankle Clin 2001;6(1):95–119. Lee MS, Vanore JV, Thomas JL, et al. Diagnosis and treatment of adult flatfoot. J Foot Ankle Surg 2005;44(2):78–113. Gleich A. Beitrag zur operativen plattfussbehandlungv. Arch Klin Chir 1893;46:358–62. Dwyer FC. Osteotomy of the calcaneum for pes cavus. J Bone Joint Surg Br 1959;41-B(1): 80–6. KoutsogiannisE.Treatmentofmobileflatfootbydisplacementosteotomyofthecalcaneus. J Bone Joint Surg Br 1971;53(1):96–100. Evans D. Calcaneo-valgus deformity. J Bone Joint Surg Br 1975;57(3):270–8. Frankel JP, Turf RM, Kuzmicki LM. Double calcaneal osteotomy in the treatment of posterior tibial tendon dysfunction. J Foot Ankle Surg 1995;34(3):254–61. Pomeroy GC, Manoli A 2nd. A new operative approach for flatfoot secondary to posterior tibial tendon insufficiency: a preliminary report. Foot Ankle Int 1997;18(4):206–12. PomeroyGC,PikeRH,BealsTC,etal. Acquired flatfoot in adults due todays function of the posterior tibial tendon. J Bone Joint Surg Am 1999;81(8):1173–82. Roye DP Jr, Raimondo RA. Surgical treatment of the child’s and adolescent’s flexible flat-foot. Clin Podiatr Med Surg 2000;17(3):515–30 [vii–viii.]. JacobsAM,OloffL,VisserHJ.Calcanealosteotomyinthemanagementofflexibleandnon-flexible flatfoot deformity: a preliminary report. J Foot Surg 1981;20(2):57–66. Myerson MS, Corrigan J, Thompson F, et al. Tendon transfer combined with calcaneal os- teotomy for treatment of posterior tibial tendon insufficiency: a radiological investigation. Catanzariti AR, Lee MS, Mendicino RW. Posterior calcaneal displacement osteotomy for adult acquired flatfoot. J Foot Ankle Surg 2000;39(1):2–14. Anderson AF, Fowler SB. Anterior calcaneal osteotomy for symptomatic juvenile pes planus. Foot Ankle 1984;4(5):274–83. Brim SP, Hecker R. The Evans calcaneal osteotomy: postoperative care and an evaluation on the metatarsus adductus angle. J Foot Ankle Surg 1994;33(1):2–5. Dollard MD, Marcinko DE, Lazerson A, et al. The Evans calcaneal osteotomy for correction of flexible flatfoot syndrome. J Foot Surg 1984;23(4):291–301. Mahan KT, McGlamry ED. Evans calcaneal osteotomy for flexible pes valgus deformity. A preliminary study. Clin Podiatr Med Surg 1987;4(1):137–51. Sangeorzan BJ, Mosca V, Hansen ST Jr. Effect of calcaneal lengthening on relationships among the hindfoot, midfoot, and forefoot. Foot Ankle 1993;14(3):136–41. follow-up. Foot Ankle Int 2001;22(8):627–32. Hiller L, Pinney SJ. Surgical treatment of acquired flatfoot deformity: what is the state of practice among academic foot and ankle surgeons in 2002? Foot Ankle Int 2003;24(9):701–5. HockenburyRT,SammarcoGJ.Medialslidingcalcanealosteotomywithflexorhallucislon- gus transfer for the treatment of posterior tibial tendon insufficiency. Foot Ankle Clin 2001; 6(3):569–81. Jacobs AM, Geistler P. Posterior calcaneal osteotomy. Effect, technique, and indications. Clin Podiatr Med Surg 1991;8(3):647–57. Wacker JT, Hennessy MS, Saxby TS. Calcaneal osteotomy and transfer of the tendon of flexor digitorum longus for stage-II dysfunction of tibialis posterior. Three- to five-year results. J Bone Joint Surg Br 2002;84(1):54–8. Deland JT, Otis JC, Lee KT, et al. Lateral column lengthening with calcaneocuboid fusion: range of motion in the triple joint complex. Foot Ankle Int 1995;16(11):729–33. Tien TR, Parks BG, Guyton GP. Plantar pressures in the forefoot after lateral column lengthening: a cadaver study comparing the Evans osteotomy and calcaneocuboid fusion. Foot Ankle Int 2005;26(7):520–5. Addante JB, Chin MW, Loomis JC, et al. Subtalar joint arthroereisis with SILASTIC sili- cone sphere: a retrospective study. J Foot Surg 1992;31(1):47–51. Lundeen RO. The Smith STA-peg operation for hypermobile pes planovalgus in children. J Am Podiatr Med Assoc 1985;75(4):177–83. Maxwell JR, Carro A, Sun C. Use of the Maxwell-Brancheau arthroereisis implant for the correction of posterior tibial tendon dysfunction. Clin Podiatr Med Surg 1999;16(3):479–89. Smith SD. The STA operation for the pronated foot in childhood. Clin Podiatry 1984;1(1): 165–73. Tompkins MH, Nigro JS, Mendicino S. The Smith STA-peg: a 7-year retrospective study. J Foot Ankle Surg 1993;32(1):27–33. 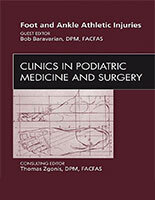 Chambers E. An operation for the correction of the flexible flatfoot of adolescents. West J Surg Obstet Gynecol 1946;54:77–86. Haraldson S. Pes plano-valgus staticus juvenilis and its operative treatment. Acta Orthop Scand 1965;35:234–56. Selakovich WG. Medical arch support by operation. Sustentaculum tali procedure. Orthop Clin North Am 1973;4(1):117–44. Subotnick SI. The subtalar joint lateral extra-articular arthroereisis: a preliminary report. J Am Podiatry Assoc 1974;64(9):701–11. Smith SD, Millar EA. Arthrorisis by means of a subtalar polyethylene peg implant for correction of hindfoot pronation in children. Clin Orthop Relat Res 1983;181:15–23. Christensen JC, Campbell N, DiNucci K. Closed kinetic chain tarsal mechanics of subtalar joint arthroereisis. J Am Podiatr Med Assoc 1996;86(10):467–73. Husain ZS, Fallat LM. Biomechanical analysis of Maxwell-Brancheau arthroereisis implants. J Foot Ankle Surg 2002;41(6):352–8. De Pellegrin M. [Subtalar screw-arthroereisis for correction of flat foot in children]. Orthopade 2005;34(9):941–53. Needleman RL. A surgical approach for flexible flatfeet in adults including a subtalar arthroereisis with the MBA sinus tarsi implant. Foot Ankle Int 2006;27(1):9–18. ForgP,FeldmanK,FlakeE,etal.Flake-AustinmodificationoftheSTA-Pegarthroereisis: a retrospective study. J Am Podiatr Med Assoc 2001;91(8):394–405. Grady JF, Dinnon MW. Subtalar arthroereisis in the neurologically normal child. Clin Podiatr Med Surg 2000;17(3):443–57 [vi.]. Crawford AH, Gabriel KR. Foot and ankle problems. Orthop Clin North Am 1987;18(4): 649–66. Giorgini RJ, Schiraldi FG, Hernandez PA. Subtalar arthroereisis: a combined technique. J Foot Surg 1988;27(2):157–61. Langford JH, Bozof H, Horowitz BD. Subtalar arthroereisis. Valente procedure. Clin Podiatr Med Surg 1987;4(1):153–61. Lepow GM, Smith SD. A modified subtalar arthroereisis implant for the correction of flex- ible flatfoot in children. The STA Peg procedure. Clin Podiatr Med Surg 1989;6(3):585–90. Smith PA, Millar EA, Sullivan RC. Sta-Peg arthroereisis for treatment of the planovalgus foot in cerebral palsy. Clin Podiatr Med Surg 2000;17(3):459–69. VedantamR,CapelliAM,SchoeneckerPL.Subtalararthroereisis for the correction of planovalgus foot in children with neuromuscular disorders. J Pediatr Orthop 1998;18(3):294–8.